Why do I need SEO on my site? Search Engines today such as Google and Bing, displays sites it believes are authoritative and relevant to the term being searched. They measure relevance by analysing page content, the words you and I read, and they measure authority based on the number and quality of other pages linking to the pages they show, links are like votes. We begin building your foundation with our SEO services. After a strong foundation, it's time to market! We value the performance of our clients business online. 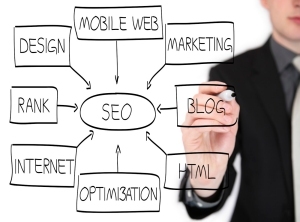 Once we have completed the SEO set up, we begin on a marketing strategy.